LAUSANNE, Switzerland, Aug. 02 /CSRwire/ - Former UK Education Secretary Michael Gove’s assertion that “people have had enough of experts” came to symbolise last summer’s Brexit referendum debates. But when it comes to the business response to global warming, it is the experts – in this case, the climate scientists – that are starting to set the agenda. 2016 saw a concerted effort by companies to adopt science-based targets for reducing corporate carbon emissions – goals which, if met, will keep the average global temperature increase below the 2°C threshold beyond which most experts claim the world will face irreversible catastrophe. More than 265 companies have so far committed to setting such targets, a figure that is only likely to grow, according to the results of a survey carried out by edie.net. To date, 198 companies have submitted targets for validation; only 44 have had their targets approved, among them Tetra Pak. 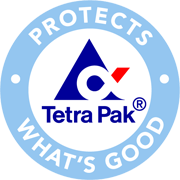 Among those companies – and leading the charge within the food packaging industry – is Tetra Pak. The company, which was established back in 1951 and now present in more than 175 countries worldwide, has pledged that by 2030, the greenhouse gas (GHG) emissions from its own operations will be at least 40% lower than they were in 2015. Working in partnership with the Science Based Targets (SBT) initiative, which checks, verifies and approves the target-setting process to ensure it is in line with the best available science, it has also set a goal that by 2040 GHGs will be down 58% compared with a year ago. Many businesses have already shown they have the skills and ingenuity to both cut their negative impact on the planet while continuing to grow. Tetra Pak is keen to show that its efforts are absolutely in line with the collective global requirement to take climate change seriously. Aligning with current climate science allows the business to play its role in limiting global warming to well below the 2°C limit as established by the Paris Agreement. The business was the first packaging company to complete the SBT target review process. “We have been setting climate goals since 2005 and already had a climate goal as part of our 2020 corporate strategy. But the SBT offered us a chance to go beyond this and set targets that are more long term,” says Mario Abreu, Tetra Pak’s VP for environment. To reach both the mid- and long-term goals, the business will focus on three areas to reduce its operational impacts. First, it will continue to find more efficient ways of using energy, cutting its use by a further 12%. Second, it will purchase electricity from renewable sources, investing in renewable energy projects and renewable electricity certificate schemes. And lastly, it will add to the 1MW of renewable energy capacity already installed on its sites around the world, investing in more onsite systems such as solar panels. On top of this, the company has committed to also reduce GHG emissions across its value chain by 16% per unit of revenue by 2020 from a 2010 base-year, selling equipment and packaging to customers that enables them to also reduce their own carbon footprint. “How we invest in solar systems is still not perfect. Yes, the cost per kilowatt of energy has come down a lot – and with more and more companies committing to buy solar panels, the price will go down further. But we need solar to become much more competitive with regular energy,” adds Abreu. However, the beauty of setting such long-term climate goals is in helping to secure the R&D budget to unlock innovations that will take energy efficiency to another level. Continuing to make the equipment it sells to customers more efficient is crucial to this, as is the company’s ongoing experiments to collaborate more with others, especially in making clean energy certificate schemes and power purchase agreements work for the benefit of everybody. “The need to find better solutions is underpinned by our science based target,” says Abreu, pointing to the range of new cartons and packages that have been introduced to Tetra Pak’s portfolio in the last couple of years. Doing away with traditional fossil fuel-based polymer plastics and replacing them with bio-based alternatives continues to reduce the carbon footprint of its packaging. The recently launched Tetra Brik Aseptic Edge 1000, which comes with layers of bio-based polymers and a bio-based closure, is the first package of its kind for products that will not need to be refrigerated and contains more than 80% renewable materials. “But the work doesn’t finish here, we will continue to expand our portfolio with packaging that has increasingly more renewable material,” says Abreu. As such, the United Nations Sustainable Development Goals have been a useful mechanism in establishing priorities and understanding where the business can have the greatest impact. No company can truly align with all 17 goals. But by understanding them all – and getting to grips with the 169 specific targets established within – Tetra Pak is more confident about where it can best play its role in responding to today’s greatest social and environmental challenges. “We recognise as a company, this is not about us trying to fix all the problems. But by focusing on some of the SDGs we can establish some concrete objectives. Acknowledging that collaboration is likely to be crucial in achieving its ambitious goals, adopting the SBT approach gives Tetra Pak a chance to be part of a ‘club’ of like-minded businesses. “By committing to science, the SBT helps by setting an ambition with benchmarks for a sector. Whilst the path will be different for each business, we are collaborating towards a common end goal,” concludes Abreu. “And if everybody does their share, we will all get to where we need to go”. Tetra Pak’s brand promise is to ‘protect what’s good’, pledging to protect ‘food’, ‘people’ and ‘futures’. That mission commits the company to driving environmental excellence. By setting ambitious science-based targets, Tetra Pak’s strategy requires more innovation and commitment from all levels of the organisation. Food production and packaging has been associated historically with being harmful to the environment. As society becomes more concerned with protecting the environment, Tetra Pak is seizing the opportunity to gain a competitive advantage over competitors with its focus on environmental excellence. Using science-based targets also improves the way the company communicates its achievements and long-term goals to its stakeholders, with specific numbers and details. Tetra Pak expects its sales to increase due to its improved energy efficiency; however, it will have to consider how an overall increase in production will affects its total carbon footprint. • Taking a scientific approach to carbon reduction is attractive for your stakeholders. It is easier to compare the efforts of your organisation with your competitors as well as judge your organisation’s progress.